This morning was hot and humid. Although it was grey, it felt as if I could have been in the tropics. But by lunchtime, it was 53 degrees in Houston. Cold. How can we account for the plummets in our lives, the weather that we weather? Who can explain how winter comes? Well, scientists. Last week, some of my students wrote about some poems. They could look at the poems–you don’t have to memorize. Some of them wrote about all poems. Some of them guessed. One of the themes that kept coming up in the essays was: this is a really great poem. That is not necessarily wrong. It is just not the whole story. Sometimes there is a story, like Dido and Aeneas and how their love is a train wreck even before trains. Sometimes there is no story. Sometimes you are just in a station of the metro. But at least you are in Paris. Maybe you can look at the title: “The Beautiful Changes” is a good one. But then you have Emily Dickinson–who never had titles for poems, although sometimes she had titles for herself, like “Queen.” She didn’t need titles, yet people give them to her anyway. What should the title be for a poem that states,” I like a look of Agony/ Because I know it’s true”? Don’t say “Agony.” I am begging. It is cold out now–colder than it has been all year. People say we don’t have winter in Houston, but do not believe them. It just does not last long, and you have to remember what it felt like when it gets hot again. Today, it is evening all afternoon. In Houston, it was raining and going to rain. You know how that goes, right? You have to be of three minds: Houston as usual, Houston today, and then what you remember. Then there is the literal meaning. The blackbird whistling. You know: the “beauty of inflections,” outside, and on the page, in the thick of the poem. Then there is the “beauty of innuendos”–what it means to you because you read it on a train in Scotland, and it was cold like Connecticut. Or what your professor tells you–some long thing about when she was in college, something about singing beyond the genius of the sea, something about how imperfection is our paradise. Make sure and look up “innuendo.” It is okay if you do not know which to prefer. I don’t think you have to choose. You have to think about the meter, the sounds that sway your thinking–are you susceptible? Do you “know noble accents/ And lucid, inescapable rhythms”? Maybe start with iambic pentameter, forced into a sonnet, intensifying the emotion, a model of efficiency. Don’t forget villanelles: “One Art,” is a good one, but it is about the art of losing, and it is hard not to be sad during that dance. Today is a good day for this: you must “have a mind of winter.” Cast a cold eye–murder to dissect. You have a job in your analyses, your essays, your attempts. Maybe think of every poem as a little monologue–a socially acceptable way to tell each other what we refuse to hear in prose. Yes, this is my last Duchess hanging on the wall, but also, the ones devoid of sociopathy: ” My Life Had Stood a Loaded Gun,” and confessions of being “Vesuvius at home.” You don’t hear that every day. Hardly ever. Maybe think about why there are so many nature poems. 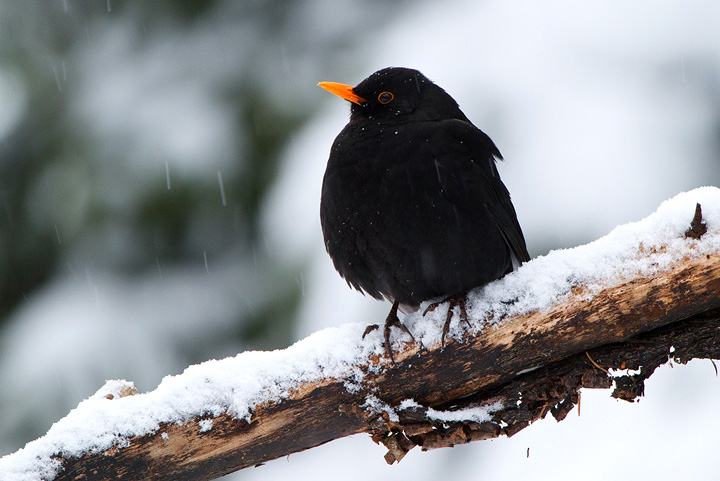 Are they about the snowy mountains, the blackbird? Or something else. What we see, how we feel about nature. How it makes us schizophrenic, with all of its mixed messages, ambivalent, or even of three minds. We cannot see everything–sometimes, only what whirls in the autumn winds, in Houston, where it can be humid and cold, if you can even imagine that. Nature poems also give up artifice: where else can you find “barbaric glass”? Is there rhyme, and is there a reason to it? Is it the truth, but told slant? Is it an avalanche of required couplets, heroic in their insistence? I think of Roethke, in “My Papa’s Waltz,” and the brilliance of rhyming “dizzy” and “easy.” Or Plath, “do,” “shoe,” “Achoo.” Do not think rhyming is obsolete. It may make the work complete. “Crumb” and “home” and “ocean” and “noon.” Under the force of the poet, they rhyme. Can you count the lines and account for them? The Odyssey: a lot. Epic. “Circe” by H.D. : not. But, related. Circe asks, “How shall I call you back?” of Odysseus. Just one line. She says she would give up all of her magic for “just one glance” from him. I believe her. Sometimes, brevity is the soul of heartbreak. You don’t need to say much. What is the poet’s signature? How can you tell the dancer from the dance? Is there an obsession with a crazed history, some dead mythological twilight? Is someone playing tricks with L.A.N.G.U.A.G.E. (? ), because maybe, just maybe, I don’t care about that. Is Edgar stuck on that broken record, the skip of repetition, those annoying bells? Is she so angry on the page that she eats men like air? Or so happy, full of joy, inebriate of air, debauchee of the dew? There is a lot of space in between those things–lots of poems that are not extreme. But we don’t remember those poems so much. And some poems, you will never love them. You cannot force it. I will never care why Frank O’Hara is not a painter. Then don’t paint, Frank. Wow, I really hate that poem. I will never come around to it. What is the theme? Oh, do not ask what is it. Poems are not written so that you can identify a theme. People make you do that, but they should stop. There are issues–we all have them. Love, death, loss, gain, hatred, joy, shopping for images. Looking at a poem is like looking in a mirror: we see themes we want to see. We handle the weight of truth we can manage at that moment. That will change at different times, and that is why poems, if they are any good, do not age. They do not have expiration dates. They can be handed around, handed down. They are tough that way. You may read a poem, or two, and it is exciting how much you can say in a few lines. You may wish to be a poet yourself. But I love these lines from Yeats: “Nor is there singing school but studying/ Monuments of its own magnificence.” You will never run out of these monuments. You will never run out of poems. You will never run out of nightingales, blackbirds, the thing with feathers that perches in the soul. It is cold in Houston. You could even write a poem about it. Oh, Doni–so wonderful! You express fully how poetry is layered; how we cannot ignore the experiences of the poet at the TIME and MILIEU in which the poet is writing. Your “verses” remind me of Keats’ “negative capability,” the ability to hold many, even conflicting ideas in your mind simultaneously, or Hopkins’ difficult but fascinating language play and curious rhyming schemes. And yes, good poetry endures and stays with us. The poetry I read and loved when I was young changes as I read it at a later time. I have no doubt these poems will continue to resonate with me throughout my life. Yes, poetry is without doubt my favorite expression of literature. It is the essence of experience for me. Love your reflections on it,and would love to read your students’ essays. I loved teaching poetry so much, and I hope to return to it someday, health permitting. In the meantime, I’ll continue wondering why so much depends on a red wheel barrel, but know the image fascinates, pleases, and teases my brain. “Evident truths” – title for the not Agony poem? So resonant. Thank you, Doni. Doni, This is excellent. In many ways. No. 12 sounds exactly like Ann. I bet you’re a great poetry teacher. I love this! One thing I still appreciate about your teaching is your passion for poetry. You helped me rediscover its great joys. I’m only sorry I don’t recognize all of the allusions above. I’d list the ones I do, but do I dare and do I dare? Maybe I’ll eat a peach instead. I often think that I don’t like poetry. Then you remind me that I might. I love this. But you lied about winter in Houston being short. Winter in Houston is down to the bone and always, because, like poetry, it has no expiration date. There is no telling how long it will last. But you’ve prompted me to write a little fibonacci poem about the peculiar awfulness of winter in Houston. Poetry and nutmeg soothe the frozen soul. That’s excellent! I love poetry- I love to read it and write it, but I usually hate to read about it. Your essay is great, though, and I’d recommend it. Just had time to sit down and read this Doni…Wow! Thank you for writing about things (literature, public education, travel, art, and parenting) that I care about. And thanks for writing that is creative, beautiful, and wonderfully honest. Your XII is my favorite! Oh and the earlier section on Iambic pentameter ohhhhh, I remember the hard time I had with that. . . I wanted to resist it, you wouldn’t let me, and Francy mastered it with ease!! Even today, as my eyes landed on those words, I started to daydream and then my eyes glazed over !!! It’s the words itself. . . . Iambic pentameter . . . . Yes, they did intensify my emotions, but not in the way you wanted!